Discover the area’s aviation heritage across eight former RAF sites. The First World War airfield closed in June 1919 but as the Second World War beckoned a second site was needed and built to the west of the site. Goxhill airfield was used for storage by the RAF and MOD for many years after the war, leaving it largely intact. The control tower was deconstructed and shipped to an American Air Museum in 2003. 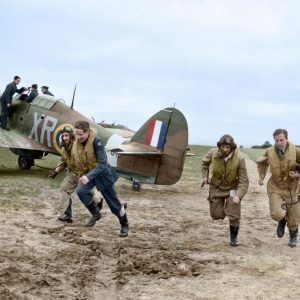 Hibaldstow was a large, dispersed airfield stretching for miles across the Lincolnshire Countryside spanning the villages of Hibaldstow and Redbourne. 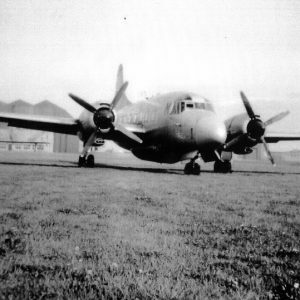 Now more commonly known as Humberside International Airport, the former RAF Kirmington partially opened in March 1942 and hosted a training unit. RAF Kirton In Lindsey was home to three of the famous Eagle Squadrons. 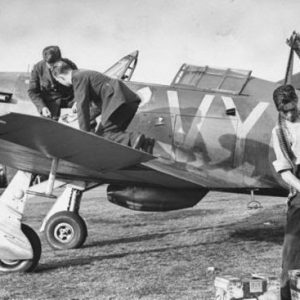 The airfield was opened as Fighter station in May 1940. Operational for less than two years and home to only one squadron, RAF Killingholme opened as a Bomber Station in 1943. Operational in February 1944 as a 1 Group Bomber Command station. The Trolleybus Museum at Sandtoft now occupies part of the former airfield. A civilian airport in 1933 it was requisitioned by the Air Ministry in 1940. Opened in 1941 and satellite of RAF Binbrook, the airfield was home to three squadrons of Bomber Command.